When I was a child, my Aunt Esther always sent me birthday cards that were signed “you, me and Winnie.” The three of us shared birthdays. Today, I am 73, she would be 103, and Winnie would be 141. Until I went to school, I thought Winnie was a relative I’d never met. 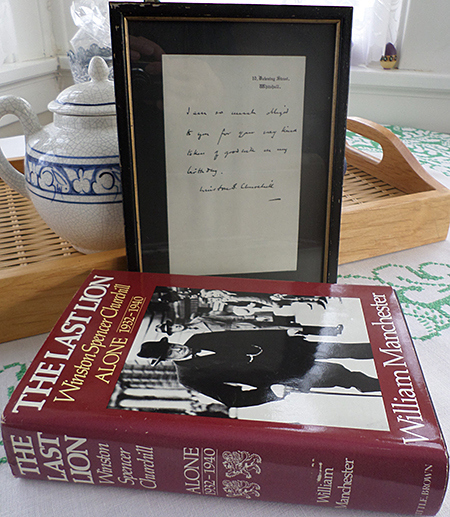 When I was in grade school, I learned that Winnie was Winston Churchill, he’d been in the Navy (First Lord of the Admiralty) like Aunt Esther (yeoman cartographer, USN), and he worked for the British government (Prime Minister). Then I was assigned to write a letter in class. I labored to write to Mr. Churchill to share one of Aunt Esther’s cards with him, and to tell him that I figure the three of us were like twins since we shared a birthday. I told him I’d heard it was his 80th birthday and I was so glad he still had a job and hadn’t given up and retired. Then I wished him a Happy Birthday, and I mailed it. I am so much obliged to you for your very kind token of goodwill on my birthday. 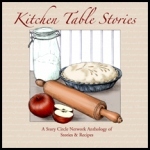 Katherine Misegades facilitates Story Circle Networks internet writing circle #14. She maintains a blog called Knitting, Writing and other Joys.